Well, it’s official… the ContiTrailAttack 3 has now been unveiled to the press and public! This week we’ve been at the annual EICMA Show in Milan, where our German colleagues were getting ready to pull the covers off some brand new products. The all-new ContiTrailAttack 3 builds on the performance of it’s highly acclaimed predecessor to deliver next generation performance for riders of predominantly road going adventure motorcycles. 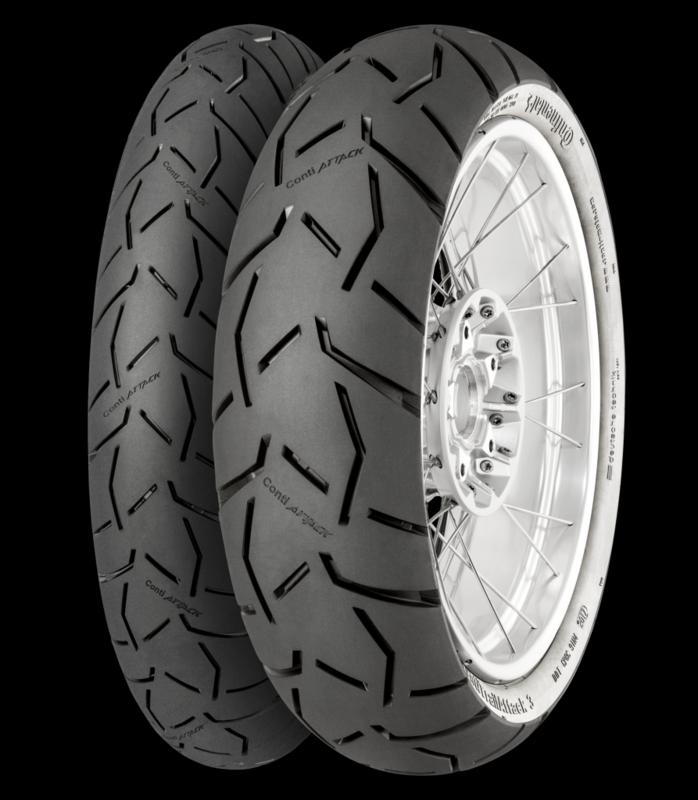 Handmade in Germany, our latest ADV tyre features an upgraded version of our RainGrip compound, and reaches it’s optimum temperature after just 1,500 metres of riding for maximum rider security. Our engineers have also revised the tread pattern so that it shifts more water from around the contact patch, which has led to an increase in wet weather grip. The aggressive styling is very much in keeping with the look of an adventure machine, and it also combines with our MutliGrip Technology and carcass construction to ensure a more consistent level of performance for a greater number of miles. We’ve also taken our Easy Handling Technology direct from the test winning ContiRoadAttack 3, to create an adventure touring tyre which offers agile, accurate and predictable handling at all times, allowing you to make the most of your bike, even when fully loaded. Designers have also worked to ensure that the tyre offers improved self-damping properties, which increases rider comfort as road conditions change. 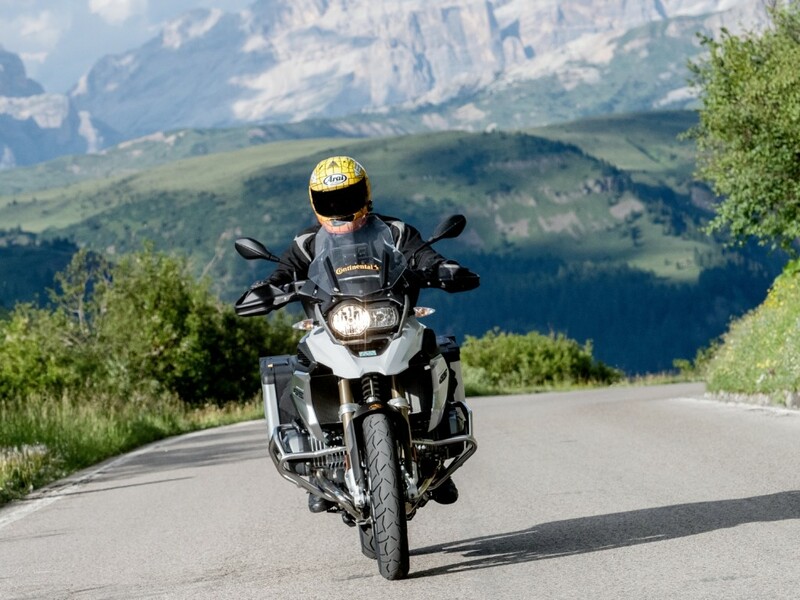 A series of internal tests have been carried out, under realistic touring conditions, on a BMW R1200GS, which showed that after 3,500 kilometres, the ContiRoadAttack 3 had more remaining tread than a leading competitor tyre. A total of 22 sizes will be available, with the first stocks arriving in the UK as of January 2019. To be among the first to hear when they land, you can follow us on Facebook. This entry was posted in News and tagged Bike Shows, ContiTrailAttack 3. Bookmark the permalink.